Each year, April 22 is celebrated as Earth Day to mark the anniversary of the birth of the modern environmental movement. On this day in 1970, millions of people took to the streets to protest the negative impacts of 150 years of industrial development. From then on, this day is celebrated to voice concerns regarding environment to saving our mother Earth. It’s a day of political action and civic participation. People are expected to take out march to spread awareness, sign petitions to save mother earth, meet with their elected officials, plant trees, and clean up their towns and roads. Corporations and governments use it to make pledges and announce sustainability measures. Faith leaders connect Earth Day with protecting God’s greatest creations, humans, biodiversity and the planet that we all live on. Earth Day Network, the organisation that leads Earth Day campaign worldwide, has chosen Earth Day 2018 to mobilise the world to end plastic pollution, including creating support for a global effort to eliminate single-use plastics along with global regulation for the disposal of plastics. Earth Day Network plans to educate millions of people about the health and other risks associated with the use and disposal of plastics, including pollution of our oceans, water, and wildlife, and about the growing body of evidence that decomposing plastics are creating serious global problems. As the world’s population continues to grow, so does the amount of garbage that people produce. On-the-go lifestyle requires easily disposable products like soda cans or bottles of water, but the accumulation of these products has led to increasing amounts of plastic pollution around the world. When plastics gather in an area, they begin to negatively impact the natural environment and create problems for plants, wildlife and even human population. This includes killing plant life and posing dangers to local animals. Plastic is an incredibly useful material, but it is also made of toxic compounds known to cause illness, and because it is meant for durability, it is not biodegradable. It costs millions of dollars each year to clean affected areas after exposure. Moreover, excess pollution has affected tourism, significantly impacting economies. From poisoning and injuring marine life to finding way into our food to disrupt human hormones, unbridled growth of plastics is threatening our planet’s survival. Earth Day Network has built a multi-year campaign to End Plastic Pollution. The goals include ending single-use plastics, promoting alternatives to fossil fuel-based materials, promoting 100 per cent recycling of plastics, corporate and government accountability and changing human behavior concerning plastics. Promoting local government regulations and other efforts to tackle plastic pollution. What can be done by responsible citizens? Government’s job is to spread awareness, let’s not expect everything from them. We will have to change our attitude and act responsible. 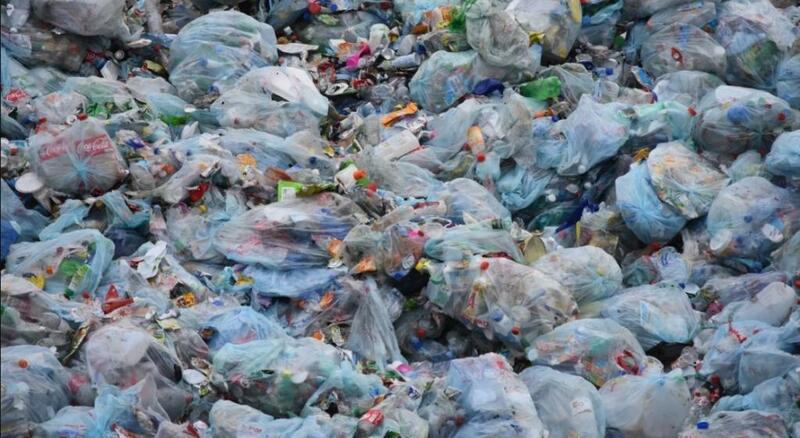 Plastic bags were once a modern convenience but they can be efficiently replaced by reusable bags, many of which fold up compactly in order to be portable. Disposable water bottles are causing immense damage to environment; it’s time to replace them with re-usable bottles. Plastic food containers, lids, and utensils are all easily replaced by reusable containers. Low-cost replacements like bamboo utensils in place of plastic ones in local restaurants need to be promoted. We all can try and select items that come in non-plastic and recyclable packaging. We can be a better country, if we all become better Indians! Let me start it from myself , small contribution to refuse use of plastic carry bag , stop wastage of water and spread awareness . In democracy no possible. It required strict action but party looses vote. It will happen in only dictator ship. Environment, adulteration, law and orders keep out of dirty politics then we save our children otherwise ????????? ?